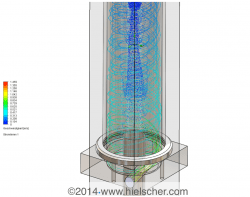 Hielscher Ultrasonics designs custom ultrasonic reactors for special processes. The centrifugal reactor is used for ultrasonically assisted separation processes. This includes the separation of gas or solids from liquids. The liquid media enters the reactor tangentially at high speed on one end. This creates a high speed circular motion with centrifugal force. As a result, pressure rises from the center towards the outer wall. One prominent application of this centrifugal reactor is the ultrasonically assisted degassing and deaeration of liquid media. In this case, the ultrasonic vibrations are usually coupled into the outer wall of the reactor. Therefore, the sonication affects the high pressure areas most. Gas bubbles created by the ultrasonication move to the center of the reactor. The higher concentration of gas bubbles near the low pressure center of the reactor promotes the formation and coalescence of larger gas bubbles. Ultrasonication can separate particle agglomerates, clean particle surfaces and reduce the viscosity of shear thinning or thixotropic liquids. These effects are used for the ultrasonically assisted particle washing and separation. For this process, the ultrasonic vibrations can be coupled to the sonotrode in the center of the reactor and/or to the outer wall of the reactor. The centrifugal force accumulates heavier particles in the outer region of the reactor. As the pressure is higher in this area, so is the sonication intensity. The ultrasonic vibration and cavitation causes shear that can reduce the the viscosity of shear thinning or thixotropic slurries. This effect facilitates the particle separation. 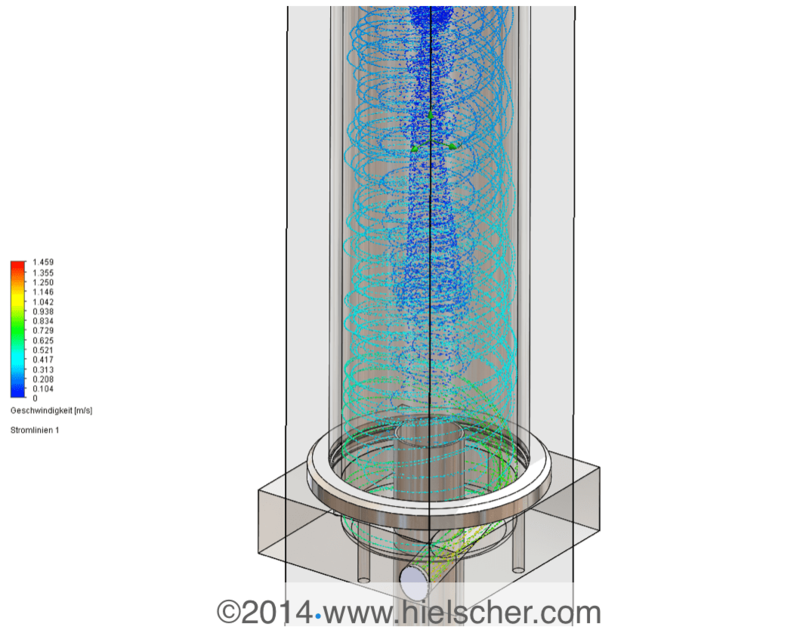 The centrifugal reactor is available for all Hielscher UIP series devices. For application testing, we recommend using the UIP2000hdT. This unit can be coupled to the center sonotrode or to the outer reactor wall, respectively. 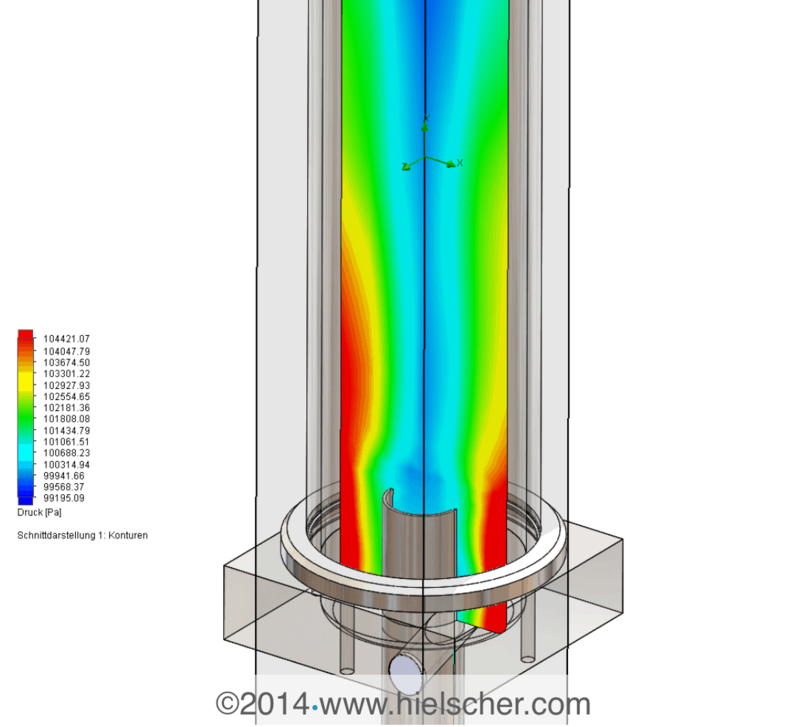 Typical flow rates for this reactor are between 1 and 80m3 per hour. 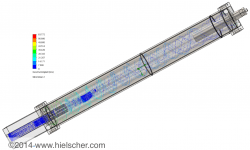 Hielscher ultrasonic equipment is designed for linear scale-up to larger processing volumes at pilot or production scale. 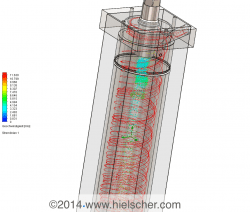 Hielscher installations are proven to work reliably for high flow rates. The table below lists processing volumes and recommended equipment sizes.